Isn’t it wonderful to hear the sound of the waves as you enjoy the view of the stunning beaches of our beautiful neighboring island of Koh Phangan? No engine noise, only sun, sea and wind. We sail to Koh Ma in the north of Koh Phangan, where certified divers have the opportunity to enjoy a relaxing dive on a beautiful coral reef. Discover scuba divers can enjoy their first dive experience, while snorkelers can explore the reef from the surface. It is also possible to swim to one of the most beautiful beaches of Koh Phangan. 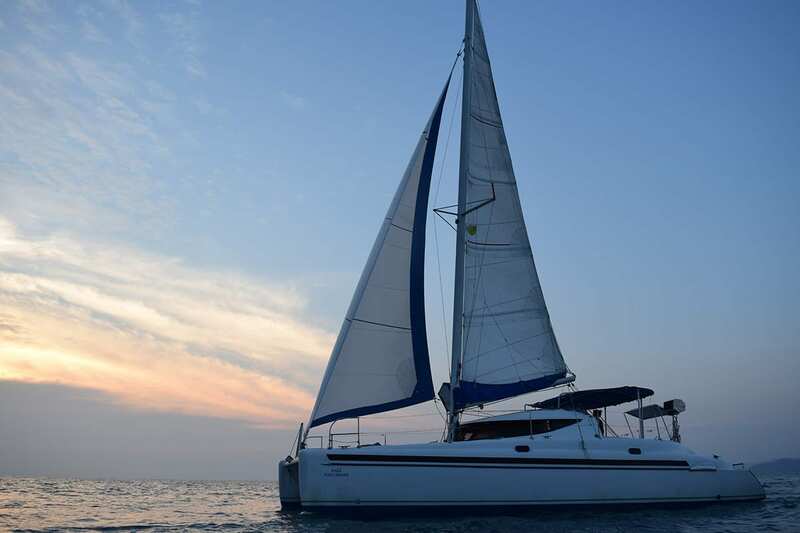 The tour includes hotel transfer, a medium-sized sailing catamaran, soft drinks, snorkeling and diving equipment, instructor and snorkeling guide.